On September 5th, secondary students and their parents had the opportunity to meet with more than 80 representatives from colleges, universities, technical schools and other organizations during our school district’s annual College and Career Night. St. Augustine High School held its Inaugural AVID Signing Ceremony on August 31st. AVID is an advanced, college preparatory program for students who have the potential and individual determination to complete a pre-university course of study in high school. Student Services is pleased to announce the addition of three new social workers to better serve our schools. The district now employees a total of seven school social workers who work to enhance the social and emotional growth and academic outcomes of all students by connecting schools, families and communities. In response to SB 7026, all St. Johns County schools are assigned a Youth Resource Deputy for emergency response situations, as well as facilitation of required training, drills, and participation on each schools Threat Assessment Team. Over the summer, the School Services Department has been busy processing hardship out-of-zone applications. As of the start of school on August 10, approximately 1,700 applications have been processed by the department. In August, approximately 200 student-athletes and coaches attended a Pursuing Victory With Honor (PVWH) training at St. Augustine High School. PVWH is a collaborative effort to proactively build character in young people by teaching, enforcing, advocating and modeling the Six Pillars of Character - trustworthiness, respect, responsibility, fairness, caring and citizenship. The St. Johns County School District announces the schedule of 2019 graduation ceremonies for St. Johns County high schools. 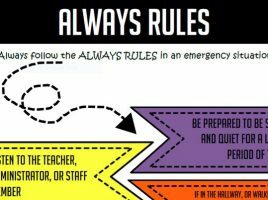 The "Always Rules" are basic guidelines for students to follow to help them stay safe in emergency situations. 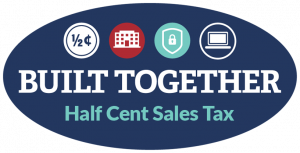 View the "Always Rules" for elementary and secondary grade levels on our School Safety web page. The student count for the St. Johns County School District (SJCSD) on day two, August 13, was 38,995, an increase of 1,656 students or 4.43 percent over last year’s second-day number of 37,339. St. Johns County continues to be one of the fastest growing school districts in the state. Students report back to class on Friday, August 10. 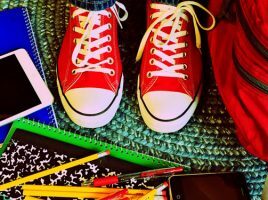 Visit our Back to School Guide for links to our school bus routes, lunch menus, important documents and more.